We’re Allowed To Be Proud of the Women Behind the Band! For instance! Brian’s amazing and talented wife, Natalia Cordova is in a film that has just been released. 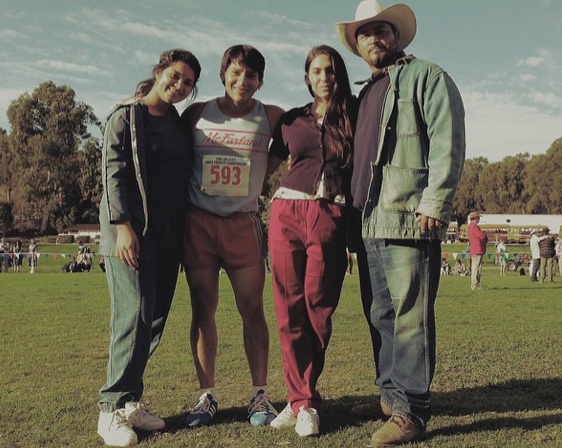 The film is McFarland, USA and the pic below is Natalia with her on-screen family! If you check out the film let us know what you think! Natalia || New Short Film! FLIGHT short film by Sarah Louise Wilson from sarahsarahwils on Vimeo. Posted on December 22, 2013 in Supporters! Posted on December 4, 2013 in Images, Supporters! Natalia Cordova is beginning another part of her adventure with the film “Ventanas Al Mar”. The press whirlwind is beginning during this premiere week.